Mesothelioma financial assistance can be found from a variety of sources. You just have to know where to look. The financial costs of mesothelioma treatment can be overwhelming. Even having health insurance does not guarantee that all of your medical expenses will be covered. Plus there are additional expenses such as transportation and overnight accommodations if you do not live near an oncology center. It is best to start researching mesothelioma financial assistance before it becomes urgently worrisome for you. If it all seems too overwhelming, ask someone else to do the research for you. Your spouse, one of your kids or a friend or neighbor who is good with finances may be very glad to help. Your mesothelioma attorney can also help you find financial assistance with mesothelioma treatment. Mesothelioma financial assistance should be looked into soon after diagnosis. But also take the time to fully explore and understand how much help you can expect to receive from your health insurance. It’s a good place to start. 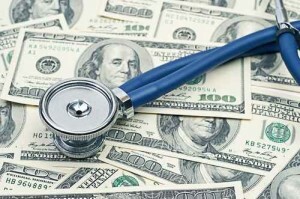 Your health insurance should cover many of the costs of mesothelioma care. To receive all the benefits you’re entitled to, it’s important to understand how your health insurance policy works. Review your policy to find out what it covers. The insurance companies do not make it easy. If you do something wrong in their eyes like going to a doctor or blood lab that is not part of their network or not asking the pharmacy for the generic version of a prescription drug, you may wind up paying a lot more out of pocket. Do what you can up front to find out what you need to do to ensure maximum coverage for your mesothelioma treatment. Ask your insurance company if they can assign you a case manager to help you and answer your questions. You have the right to appeal if your health insurance company denies coverage for any aspect of your mesothelioma care. Find out from your insurance company what you need to do to appeal a denial of coverage. If your appeal is denied, you may be able to get help from your state’s insurance department. You can ask your state legislative representative’s office to help you navigate the insurance bureaucracy. Remember you have paid for health insurance all your life. You deserve to use it now. You may qualify to receive mesothelioma financial assistance from a government program. The federal government offers several programs that can help you with medical and living expenses. These programs (including Medicare, Medicaid, Social Security and the Veterans Administration) were created to help people who are disabled, elderly, a military services veteran or living on limited incomes. Many state governments also have programs to assist qualified state residents with medical and living expenses. Do not feel bad about applying for these programs. You have worked hard all your life, paid your taxes and Social Security. Now it is your turn to receive back some of what you have paid for. It can take a long time for government agencies to process applications, so the sooner you apply the sooner you will receive assistance. Mesothelioma financial assistance can be obtained for prescription drugs and co-payments involved in mesothelioma treatment. Many pharmaceutical companies offer patient assistance programs on their websites that can provide help with insurance reimbursement, referrals to co-pay relief programs, and help with applications for assistance. Some companies also offer medications at little or no cost to patients who don’t qualify for other help. Your oncologist’s office may be able to help you locate patient assistance programs for your medications. The Partnership for Prescription Assistance provides information on over 475 public and private patient assistance programs. Telephone: 1–888–477–2669 (1–888–4PPA–NOW). Mesothelioma financial assistance may also be needed to help pay for the many co-pays for office visits and lab visits. A number of nonprofit organizations provide help for co-payments, deductibles, and other medical costs.